WASHINGTON, DC, April 21, 2018 /EINPresswire.com/ -- The craze of social media is on a high. The entire audience is hooked up there and if you are not on social platforms, you may be missing something really big. While individuals are busy connecting with likeminded people and friends, companies are utilizing this platform to publicize their business. Many of them have seen impressive results, whereas many others are just working on them without getting anything out of social media. Utilizing social media to promote and float press releases is a trend these days. Along with journalists, your PR reaches your target audience directly without being dependent on journalists for picking them up. However, the results are not measurable and therefore, many companies aren’t able to conclude its effectiveness. While there is no such tool that can help you measure the exact results, utilizing social media smartly can benefit you in long run. Here are a few things that you must keep in mind while using social media for publicising your PR. Social media is still a personal space and people may not like to discuss their professional life there. You should therefore, never approach someone directly with a press release. Build relationships with them. Approach them well in advance and introduce yourself. Give them gift vouchers or discount coupons. In short, become familiar to them and be ready with your mailing list long before you have something worth sharing. The only reason why emails fail is that people got loaded with tons of press releases and notices. Everyone is busy these days and no one has the time or interest to review their cluttered inbox. You have two options; either be a part of the clutter by sending them useless PRs or stand out of the crowd by sending them short, useful information. Don’t have a set monthly target of sending 10 press releases. Instead, send a PR only when you have something worth sharing. Do not just log in to your account when you have something to share. Be active as much as possible and participate in discussions. Share your views, answer questions, and help others. Build your credibility. Also, reply to the mails that people send you regarding your press release. They may ask you for further details. The journalists may ask you for interviews. You may get a negative response, so be ready to defend yourself. The more you stay active, the more people take your press releases seriously. 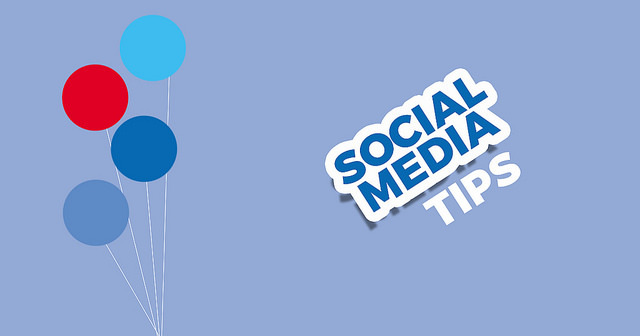 These tips are sure to help you utilize social platforms effectively. For more such helpful tips, keeping reading this blog.